Argentina is a country of contrasts. Extending 5121 kilometres long from La Quiaca to Ushuaia, it boasts a huge variety of geography and climates, and is the homeland of many natural wonders of unparalleled beauty (watch this video). 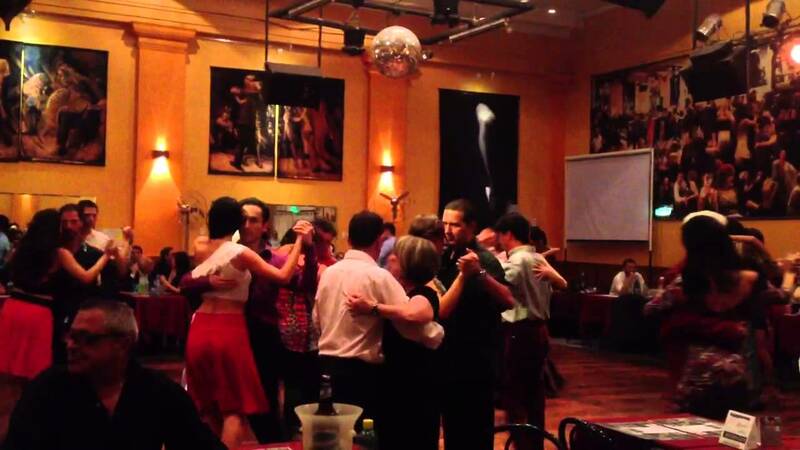 Tango has become a global phenomenon. With its elegance, sensuality and passion, it has even featured in many films… Thus, it is very likely that you have already seen, or danced tango. But only in Buenos Aires you can get the real thing. Choose among Buenos Aires’ best milongas (the places where tango is danced), show off your dance skills, and have the time of your life! 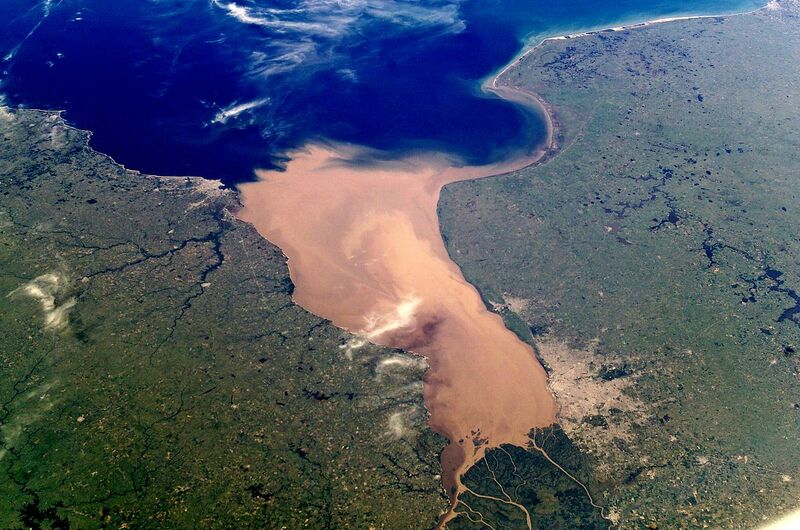 The Rio de la Plata (River Plate) widens at its mouth in the Atlantic Ocean to about 220 kilometres (140 miles), making it the widest river in the world. This particular river separates -or rather unites- Argentina and Uruguay, not only geographically, but also culturally speaking… While in Buenos Aires, take a ferry across the Rio de la Plata and admire Uruguay’s atmospheric, UNESCO world heritage town of Colonia del Sacramento. Alternatively, you can visit charming Montevideo or chic Punta del Este. Unless you are vegetarian, this is definitively a not-to-be-missed while in Argentina. 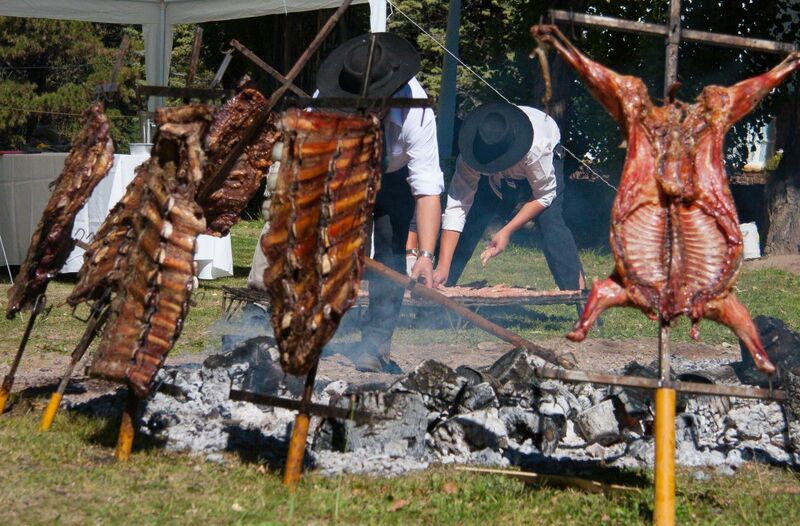 For an even bolder experience, you may try an asado criollo at an estancia (ranch), where you can also get a taste of the gaucho culture. 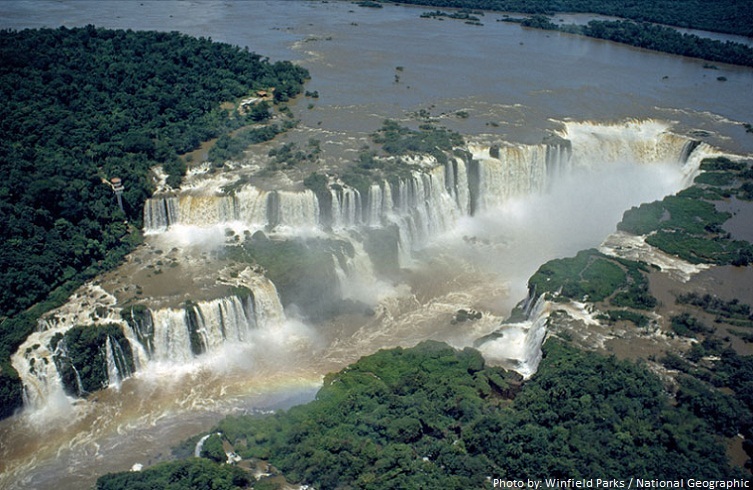 It is said that when USA first lady Eleanor Roosevelt saw Iguazu Falls, she exclaimed: “Poor Niagara”. It is indeed not easy to find words to define this nature’s miracle; no photo or video can capture their almightiness: the feelings, the sound, the smells are indescribable… These monumental falls are located in the border between Argentina and Brazil, in the middle of a dense jungle, and to best explore them you must visit both countries… They consist of 275 waterfalls, the “star” of which is La garganta del diablo (“the Devil’s throat”; you will understand the name when you see it). Fair enough, Iguazu falls are deemed “unlike any other waterfall on earth“, and were chosen as one of the New 7 Wonders of Nature. If you like extreme experiences you may fly with helicopter over them or take an adventure tour. 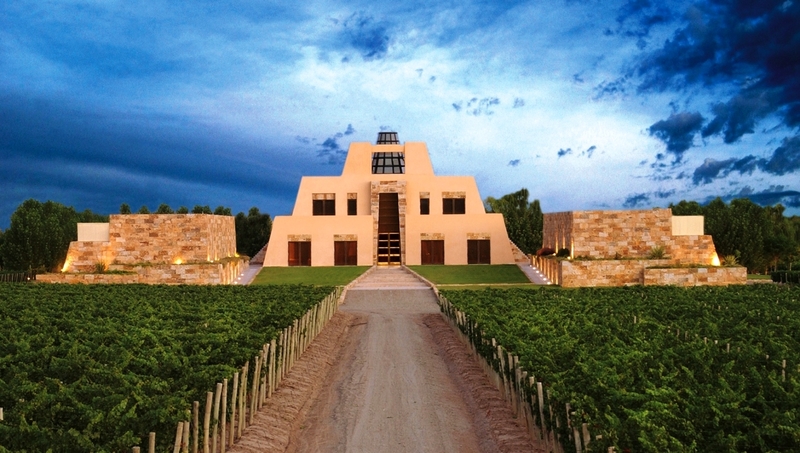 Malbec is Argentina’s flagship wine, and the country has the largest Malbec acreage in the world. Especially if you are a wine lover, you can’t leave from Argentina without having a glass of Malbec in Mendoza, the largest wine-producing area of Argentina. Framed by the imposing Andes Mountains, boasting an exceptional climate -with over 300 days of sun a year- Mendoza is a perfect escape, deservedly regarded as one of the world’s top wine destinations. Besides wine-tasting in one of the 120 wineries, you can enjoy other activities such as horseback riding or hiking expeditions. As if that wasn’t enough, the great food and the outstanding wine hotels will add up for a unique, once-in-a-lifetime experience. 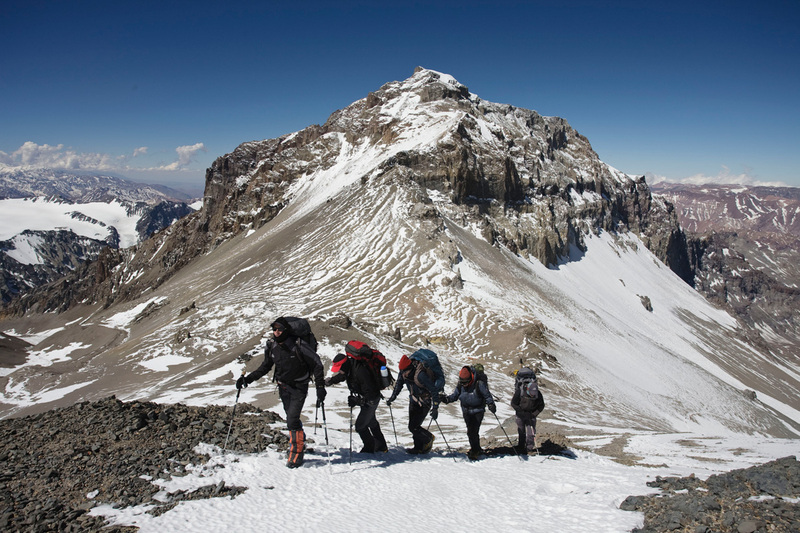 If you are seeking challenge at high altitude surrounded by a spectacular setting, climbing Mount Aconcagua is for you. Located in the Andes Mountain range, near the border with Chile, Mount Aconcagua is the highest summit in both the Western and Southern Hemisphere at 6962 meters (22,841 ft). Aconcagua is the highest non-technical mountain in the world -no climbing gear is required when ascending by the northern, so-called “normal” route. Although considered and “easy climb” it should not be underestimated. It’s not a good idea to attempt it alone; your best bet is to join an organized climbing expedition and enjoy an unforgettable experience. Arguably the world’s most amazing glacier, Glaciar Perito Moreno is the highlight of Parque Nacional Los Glaciares, located 80 km (50 mi) from the town of El Calafate. Due to its accessibility, this impressive ice field, 30km (19 mi) long, 5km wide and 60m high is one of the world’s most visited glaciers. 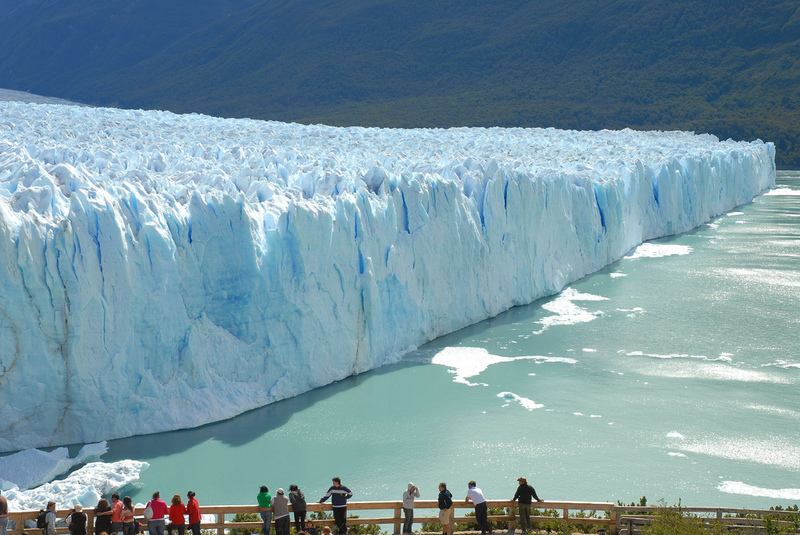 But what makes it truly exceptional is its constant advance, up to 2m per day, which causes frequent glacier breakage: if you are lucky enough, you will witness huge ice chunks detaching from the glacier and plummeting into Lake Argentino. Just standing there and watching Perito Moreno from one of the three viewing areas on land is a breathtaking spectacle, but if you want a more adventurous experience, you can take a boat ride on Lake Argentino, fly over the National Park, or even hike across the glacier. If you love road trips, driving along La Panamericana (Pan-American Highway), the world’s longest road, should be definitely in your bucket list. “The mother of all roads”-as is usually called- extends 48,000 kilometres (30,000 miles), starting from Prudhoe Bay in Alaska, traversing all North, Central and South America before reaching the bottom of the planet at Ushuaia (see below). 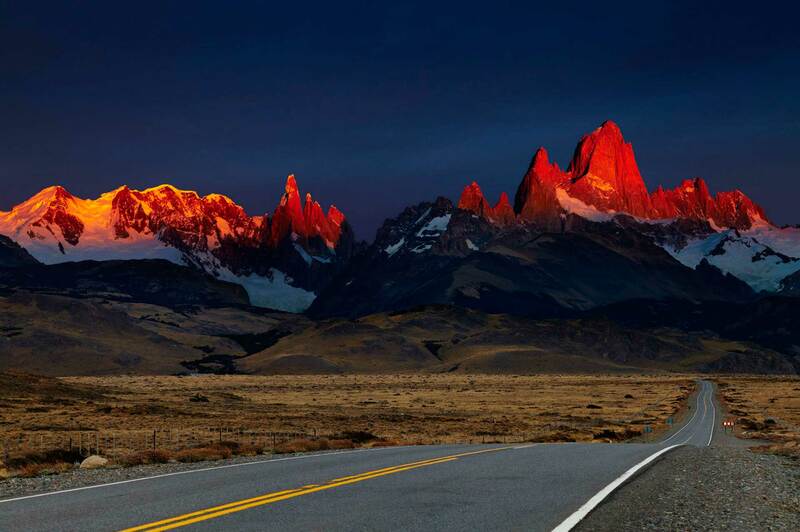 But if you still feel like driving, there is another road trip that you shouldn’t miss in Argentina: the legendary Ruta 40, running in the west along the Andes Mountains, stretching from La Quiaca in the North to Rio Gallegos in the south. This iconic road passes through places of mind-blowing natural beauty, from salt flats and desserts in the north to lakes and glaciers in the south. 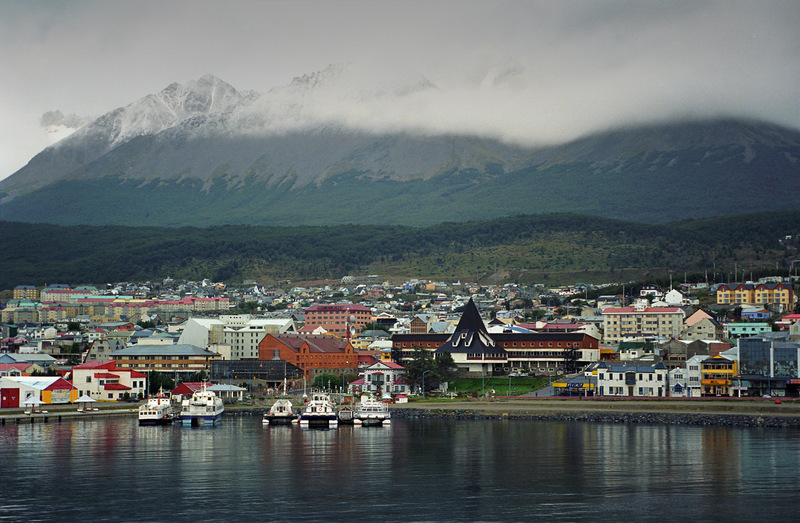 In Argentina’s southern end, on the southern coast of Isla Grande de Tierra del Fuego, lies Ushuaia, the world’s southernmost city. While reaching this picturesque city and exploring the beautiful surroundings is exciting enough, the latest years an increasing number of travellers arrive to Ushuaia as a stopover to one of the globe’s most remote destinations: Antarctica. 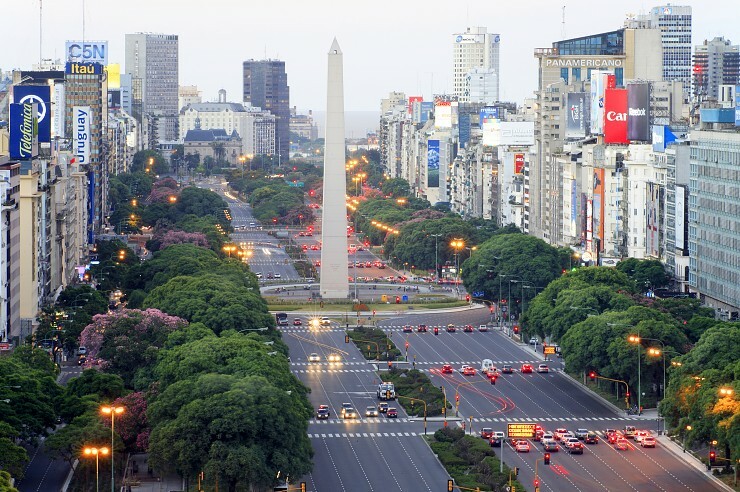 Want to visit Argentina? Read more here and here.